Hanoi (VNA) – The use of pesticides and chemical fertiliser in farming and the discharge of solid waste from craft villages and households are the main causes of rural environmental pollution, which has become more severe recently in a country with nearly 67 percent of the population living in rural areas. 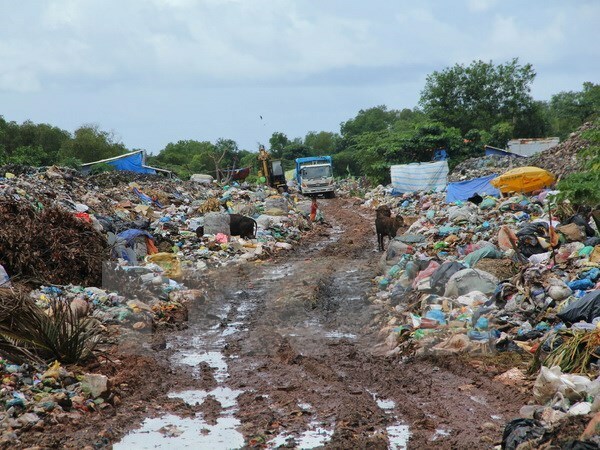 According to the Vietnam Environment Administration (VEA), a lot of waste is generated in dense-population regions such as the north central and central coastal areas (25 percent), the Red River Delta (23 percent), the Mekong Delta (22 percent) and the south eastern region (15 percent). The rural environment is under pressure from manufacturing at industrial parks and clusters, daily activities of residential and adjacent urban areas, and impacts from climate change, such as rising sea levels, and natural disasters. Environmental pollution risks come from cultivation, animal husbandry, aquatic and farm produce processing, craft villages, and industrial production. Poor planning and management along with the ineffective operation of waste treatment facilities have made protecting the rural environment even more difficult. As a result, the rate of people contracting diseases related to environmental contamination, including cancer, has risen in recent years. To address the shortcomings in rural environmental protection, the VEA suggested building synchronous measures such as refining legal policies, increasing investment, strengthening inspections, and adopting technological waste treatment solutions.